Articles on the wildlife found in and around Colt Hill are displayed alphabetically by species name below. For more information on the birds please go to the RSPB's website. A common native hedgerow species, blackthorn is present in all the hedges around the site. Seen gliding over the canal, the buzzard is heavier and less agile than the red kite (it also lacks the kite's distinctive forked tail and tends to fly higher on stiff out-stretched wings). Carp can occasionally be seen if you are lucky enough to pass an angler as he or she is landing one. Cowslips can be seen in the wild flower meadow at the east end of the site. The cowslip produces it flowers in April and May. Elder is widespread around the site. It has white blossom (elderflower) in the spring and dark blue elderberries in the autumn: both can be used for wine making. Hawthorn (aka quickthorn) is the principal species in the hedges on the south (towpath) side of the site. 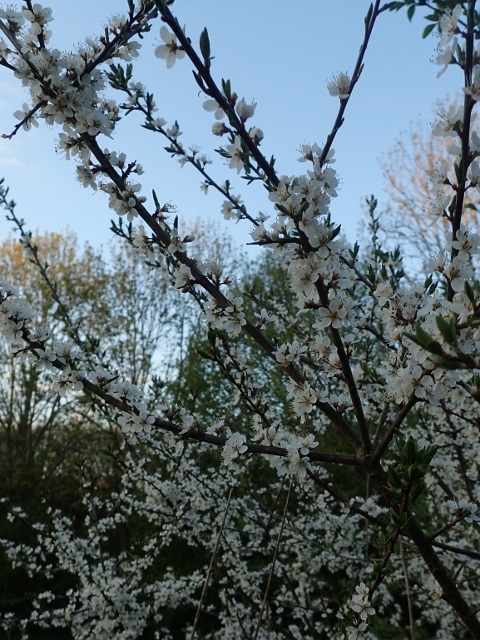 It produces white blossom in May and red haws in the autumn.